Small Business Marketing Automation- How to Start? But what if you have a small team? Maybe even a 1 person team on a shoestring budget? 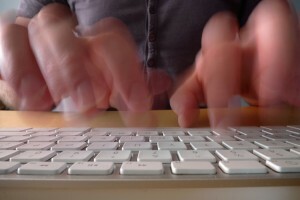 In either case, small business marketing automation can become a powerful ally. It presents you with the opportunity to grow your business and customer base while actually reducing costs increasing and productivity. Too good to be true? Believe your own eyes (and some pretty solid numbers). According to newly released research, businesses that use marketing automation to nurture prospects experience a 451% increase in qualified leads. Another piece of research concluded that companies that adopt marketing automation see 53% higher conversion rates. According to Nucleus Research, marketing automation drives a 14.5% increase in sales productivity. 63% of companies that are surpassing their competition use integrated marketing automation. And that’s not all! From multinational corporations to the micro-businesses run from home, marketing automation is the rising star for many. And if you want to join the ever growing clan of businesses that have found the benefits of marketing automation, here is a quick breakdown of how to kick start your marketing automation strategy. Many think that when it comes to marketing automation it is all about pushing messages out, whereas it is a much more in depth process that begins with looking inside your business. What is your business strategy? And let me make it clear that ‘grow my business’ and ‘making money’ is not a business strategy. Be specific about your current business goal as that would shape your automation strategy. Do you want more customers? Or maybe you are happy with the influx of customers but would like to speed up and optimise the sales process? Whatever your business target, define it. Finding the best Sales and Marketing Automation software for your business can be a challenge, with an explosion of shrink-wrapped software products and online and cloud-based applications. So how do you find the software that is going to work for you? Software is supposed to make it easier to run your business, but too often it is a source of frustration and expense. My advice? Shop around. What works for your neighbour, may not necessarily work for you and there is no way of knowing unless you spend some time looking at the different options that are out there. Sign up for a trial and see if the software is what you need. 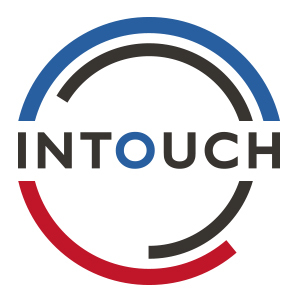 If you are just starting out with marketing automation, why not try an entry level solutions such as InTouch, that has been designed to address the specific needs of small and medium sized businesses. Some general advice on what to look for when ‘choosing your weapon’: what is the target industry (is it meant to be used by small companies or large corporations), what other features does the software offer (email marketing, reporting, sms marketing, social media feeds, surveys etc), interface (is it easy to navigate and user-friendly) and of course budget (is the price something your are willing/able to pay). Have a look around at what’s available, and make a decision based on your business needs. Marketing automation is a vast and multifaceted idea. It uses connections from multiple touch points and marketing channels including social media, email marketing, and content marketing to navigate, nurture and create a desire in the prospect to purchase. You can imagine how complex and the automation process is. Well. it’s complex but not too complicated. You need to begin with customer data. Create a web form and landing pages on your website, leverage your social media accounts and use every other tool in the box in order to grow your customer database. Once you’ve done that, you can begin segmenting the people in your list. Are they existing or new customers? Are they almost ready to buy or not quite yet? Segmentation makes all the difference between your marketing being successful, or being a total failure. It allows you to tailor your communications, to make them more personal and relevant. Once you’ve identified different clusters of people on your list, it is time for the real automation to begin! The easiest entry way to marketing automation, is the automated follow up. Every time for instance, someone completes one of your webforms or signs up for your email newsletter, send an immediate email thanking them and welcoming them. Simple as that. And you can take it from there. At the core of marketing automation is the idea that you have a predetermined set of actions that go live whenever triggered. For example, whenever someone signs up for your communications, they receive an email. Whenever they open an email from you and click on a link, they receive a text message from. And this my friend, is marketing automation! Automating the nurturing process. It can shorten the sales cycle, uncover new selling opportunities, and maximise the lifetime value of every customer. What’s more, it is an entirely self-sustained process and once you’ve defined the parameters of you marketing campaign and sales funnel, the different actions and triggers, the rest pretty much takes care of itself. Once you have your automation running, you can always go back to refer to it and look for ways to optimise it, test new tactics and actions, adding more features and exploring the reporting tools. If you want to achieve growth in your business, a high standard of customer service and consistency, it’s important to create repeatable systems in your business. If you can put your sales and marketing activities together in a system, you will be able to create predictable, steady growth in your business. And this is precisely what marketing automation’s goal is. The shift from selling to buying, along with the advent of several new digital channels, used by consumers, keeps impacting the marketing automation industry and therefore the adoption of marketing automation by organisations is more important now than it’s ever been. It is absolutely the way forward when it comes to business growth, productivity and efficiency. Just as in any other area of business, you have got to have a plan. No system, no matter how complicated and no team, no matter how talented, will ever achieve the business goals unless there is a clear plan. 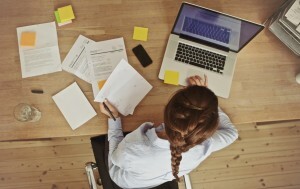 Remember how we talked about defining your business goal? Your marketing plan is a map to guide you towards that goal with minimum stress and maximum efficiency. Especially in the world of sales and marketing automation, it is all about planning in advance. Think about what stages your prospects will be going through and what questions they will be asking along the way, will help you identify the triggers and actions that you need to automate. Moreover, planning will help you identify the specific tools you will require from your automation provider. There are many apps out there that offer a variety of features that you won’t really need unless you are a big corporation or have an entire team dedicated to sales and marketing automation. Of course, the more the features the higher the cost, so knowing exactly what you need and only paying for functionalities you are going to use is essential for your budget too. More often than not, 80% of the results come from 20% of the features so plan ahead, think strategically and go for a software that offers what you need instead of paying for features you won’t use. Here at InTouch for example, we provide all the features you will ever need to kicks off your marketing automation strategy and grow your business. No muss, no fuss, no unnecessary and complicated tools, 0nly the best and most valuable functionalities you’ll ever need. Marketing automation is not a holy grail and is still too often seen as a way to automate the marketing and selling processes completely. While the possibility to automate often repetitive tasks is essential, the human, connected and customer-centric dimension is essential. People buy from people. Don’t forget that! If you are still wondering whether or not Sales and Marketing automation is something your business needs, have a look at this. How do you Make a Marketing Campaign go Viral? “People buy from people.” I give a similar disclaimer whenever I write about automation. Exactly. what’s worse is some who try to automate everything then blame the CRM when they don’t seem improvements (or, worse, when they see decreases). Automate the mundane and necessary, what you can, and then keep the best for yourself and your sales team.